Square has released a patch for the PC version of Deus Ex: Mankind Divided to address some issues players are experiencing. 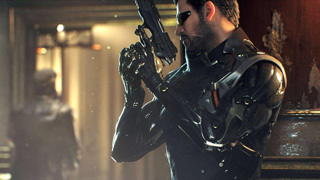 If you've been playing Deus Ex: Mankind Divided on PC, you may be experiencing a few issues. Reports include things like low framerates, random crashes, and always-on mouse acceleration. Square addressed some of the issues in a Steam Community developer post, which included advice you'd expect, such as "Update your drivers," and "Turn off MSAA." Now, the company has released a patch to address a number of issues with the PC version. Fixed crashes caused by third-party programs interfering with the game. Fixed crash that occurred after viewing the intro videos. Fixed issue that could cause a crash at the end of the Prague intro scene. Fixed mouse invert setting not being displayed correctly in the options menu. Also included in the patch notes is a word about performance on PC. If you're having issues playing on Very High or Ultra with MSAA set to 2x, 4x, or 8x, Square says that it "would like to emphasize again that these options are very demanding. We recommend everyone that is running at recommended spec or higher to start with the High Preset and MSAA turned off, and then tweak the options to optimize your experience." If the patch causes any issues, Square says that you can roll back to v1.0_build 524.6,p which is set up as a beta on Steam. You can read the full patch notes here.